The comedian's last name sounds like the building blocks brand, which has made him a life-long loyalist. 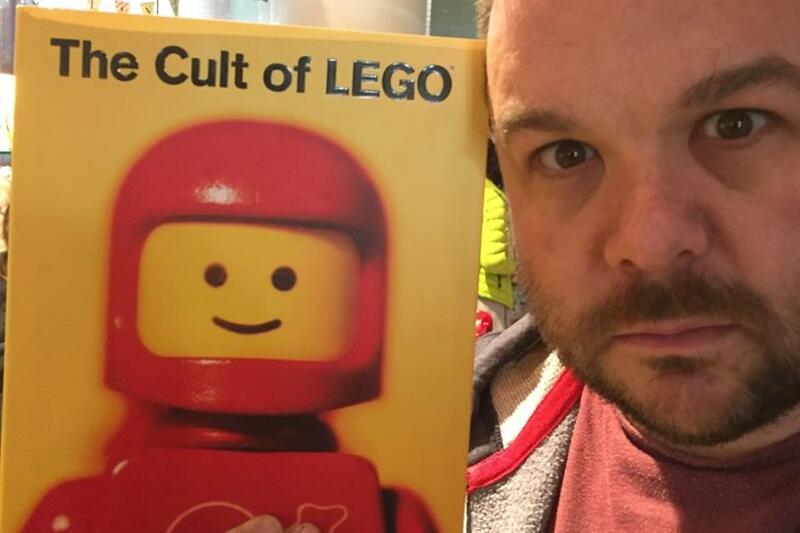 Colin Leggo calls himself an "accidental superfan" of Lego. Although his surname is spelled differently than the building blocks brand, it's pronounced the same, so friends, family members and colleagues have often gifted him Legos. Strangers have even approached him about the similar-sounding name. "It's an almost weekly occurrence that a cashier or phone operator will notice my surname, and we'll have a Lego discussion," Leggo said. Last month, U.K. publication "The Sun" also took notice when the local Lego store refused to make Leggo a mini-me model. Since the 38-year-old comedian is an amputee, the store employee explained that the products only come with a one-piece bottom half, which consists of two legs. "I thought it was funny that one of the only people with the surname Leggo couldn't get their own semi-accurate Lego figure. Silly," he said. Why do you love Lego? Aside from people giving me Legos as presents, I'm also a stand-up comedian, and it's a great brand to link to for posters and publicity. I often use their products in images for shows and interviews. When did you first encounter Lego? Although I had Legos as a kid (who doesn't?! ), I never really got into it when I was young. My first proper experience as an adult was when I received a Lego wallet for my 21st birthday. I LOVED that wallet, to the point where I used it to death! After about eight years, all the branding had rubbed off, and it looked disgustingly tatty. I searched and searched for over two years for an identical replacement, but Lego had discontinued the wallet. The only one I could find was selling for £200 ($259 US) on eBay. I just couldn't afford it! Finally, after years of looking, I discovered one as part of a wallet and bag set. It was a very happy reunion. What's your coolest piece of brand swag? If you could change one thing about Legos, what would it be? What's the one thing that would make you to disloyal to Lego? Nothing really. They're a very inclusive brand that is both playful and extremely educational.